Join us for Christmas cheer, live entertainment, wassailing, children’s crafts, Christmas shopping and of course Mulled Wine at this wonderful free Yuletide event. 4pm – 8pm Christmas in Selborne. Guess the weight of the cake in the Little Parlour. Don’t forget to Guess the weight of the cake in the little Parlour. Please note: tickets purchased from us are non refundable. 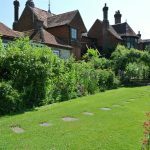 Gilbert White was aged 7 or 8 when the White family moved from the Vicarage on Selborne’s Plestor, to this house, called ‘The Wakes’ (named after the Wake family who had lived here previously). At that time the property would have been no more than a ‘two up, two down’ but over the subsequent years lots of extensions and additions have been made, creating the long sizeable house you see today. The rooms have been restored following descriptions in White’s own correspondence and include a chair he used at Oriel College, Oxford (loaned from the College), items of contemporary furniture, family portraits and bed hangings embroidered for him by his aunts. 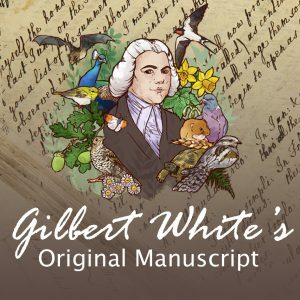 On display is the original manuscript of his book, The Natural History and Antiquities of Selborne, which was purchased with generous help from English Heritage and others. We are currently open Tues-Sun 10:30-4:30. We are also open every Bank Holiday including Easter Monday. An Independent Charitable Trust and Accredited Museum.